The cutting-edge compact modular gaming solution. Karma offers virtually endless customization options. Karma holds the longer gaming sessions guarantee. 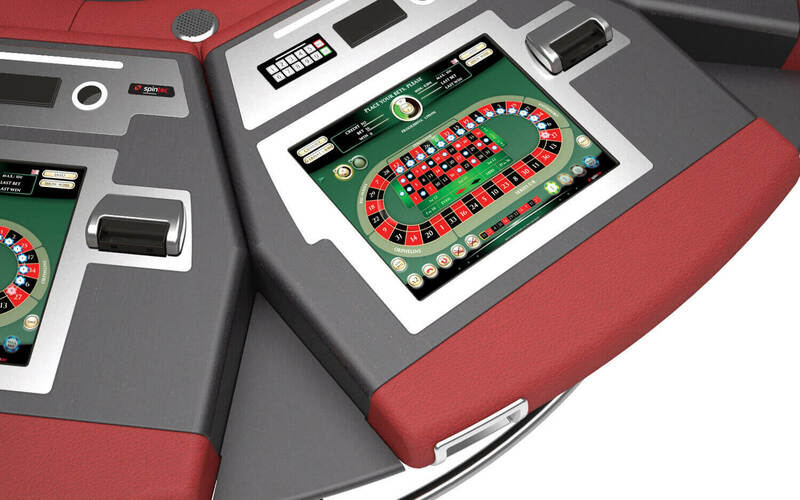 Karma boasts a cutting-edge design, intuitive user interface and advanced technological solutions enabling product stability, security and unparalleled gaming experience. All these features result in longer gaming sessions. Karma gaming solutions are ready to be customised to your specific needs. Besides a selection of different games, technologies, languages and specific game parameters, also monitors, bill acceptors, ticket printers, player-tracking system and finishes can be specified according to your requirements. The Karma embedded software is extremely stable and boasts excellent results in continuity of operations. Integrated shock detection additionally contributes to excluding potential irregularities. Karma offers virtually endless customisation options. You can choose between different games, technologies, languages and a variety of game parameters. 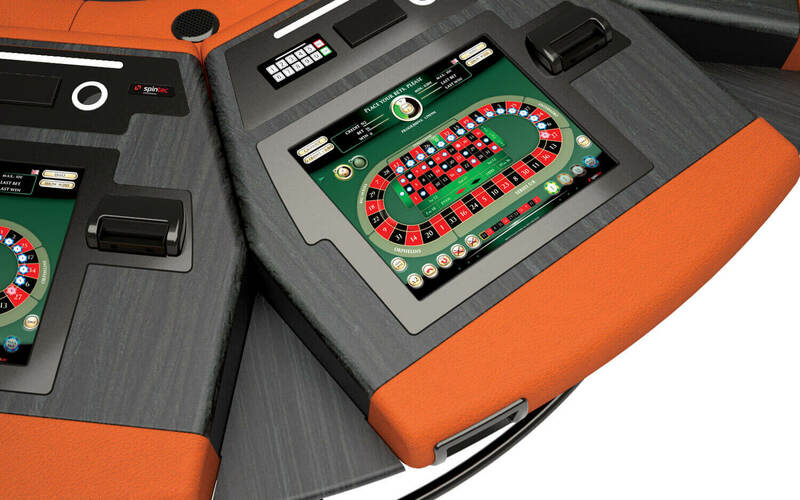 With a wide selection of finishes and upholstery Karma will fit perfectly into your casino interior. Add a topper and a sign to your Karma gaming solution and the maximum visibility and interaction is guaranteed. Karma Roulette can be installed in several different versions and in combinations thereof: AUTOMATED Roulette, VIRTUAL Roulette, LIVE Roulette and CONNECTION TO EXISTING LIVE Roulette. You can further inspire your players with our PROGRESSIVE JACKPOT SYSTEM and a TOPPER. Karma SicBo or Craps can be installed as an AUTOMATED, VIRTUAL or LIVE game or in any combination thereof. 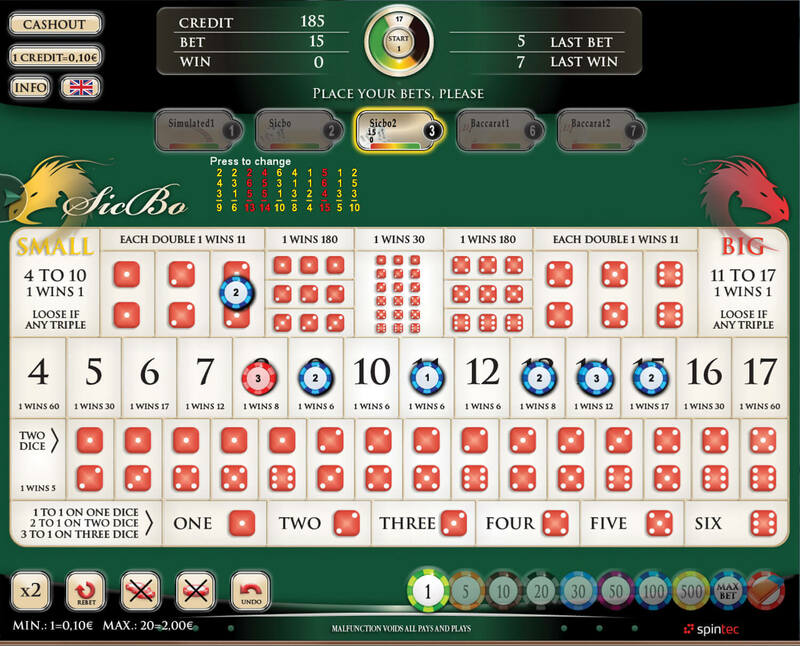 The mechanics of the Karma SicBo automated game integrates a proprietary solution, which almost eliminates the situations of the dice being placed on top of each other or over the border. The most important outcome of this innovation is the increased number of valid outcomes per hour. To elevate enjoyment of the game, we have added visual and audio emphasis to mark the crucial moment of the dice shaking. Karma Baccarat is an extremely appealing VIRTUAL or LIVE game. The virtual Baccarat is hosted by our attractive croupiers in HD live footage, which offers players a feel of a live game. Furthermore, they can choose among different croupiers and pick the one they find most attractive. The players can also enjoy a selection of side-bets. The drawn cards can be previewed through a peek scanner, which shows the card only partially to increase excitement and drama. Multigame Karma solution offers each player the freedom to choose from different types of games (Roulette, SicBo | Craps, Baccarat), different technologies (automated, virtual, live), different attractive croupiers and languages. Multigame solution is modular, meaning that more games and/or gaming positions can be added. It is also entirely customisable. It will be adapted to your interior design, your technical requirements, combination of games you wish to include and to the desired layout of the gaming positions. Players will enjoy extremely spacious seating with lots of room for legs and the luxuriously padded armrests. They will have a great command of the game from their seat, without straining their neck or having to stand up. Comfort translates into longer gaming sessions, which in turn translates into higher casino income. The innovative mini ledges have also been designed with the players’ needs in mind: they are perfect for note-taking and drinks. Karma gaming solutions are ready to be customised to your specific needs. You can choose between different technologies (automated, virtual and live gaming), languages and specific parameters of the game (e.g. speed and betting time). Karma also brings absolute freedom in terms of your technical requirements. When it comes to monitors, bill acceptors, ticket printers, player-tracking system and similar, we can integrate fittings in accordance with your specifications. 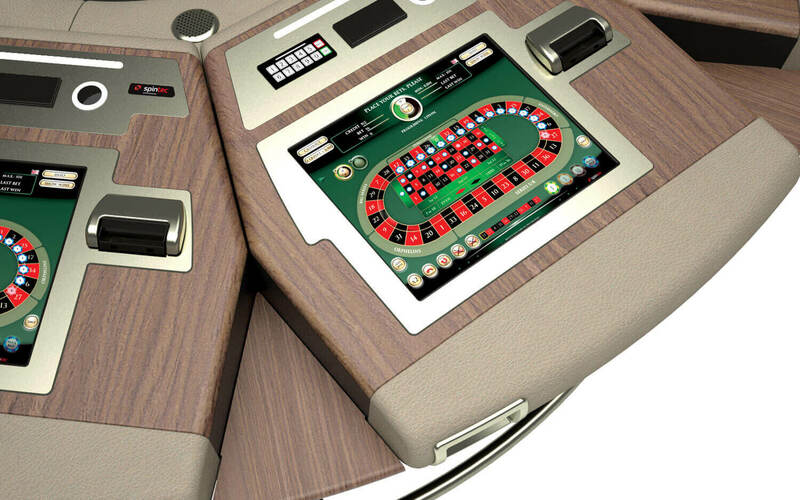 You also don’t have to worry about the unified design of the floor: with a wide variety of finishes and upholstery we can create a combination that will fit perfectly into your casino interior. Karma’s software supports SAS and VAN protocol and can be seamlessly integrated with Casino Management Systems of your preference (Accounting & Cage, Ticketing, Cashless, Player Tracking etc.). However, if you have different needs, Spintec R&D team is ready to develop the software to support any other widely used protocol. Integrated shock detection, built on proprietary knowhow, registers unwanted tilts and movements of the wheel and immediately stops the game. This prevents abuse in a very efficient way. It is also fully adjustable, so it is able to compensate for possible vibrations occurring naturally in the environment. Additionally, it is also possible to equip Karma roulette wheel with a glass dome over the wheel, thus preventing possible intrusions into the wheel mechanism. Karma boasts a roulette wheel of the ultimate quality in order to guarantee reliability and precision, while avoiding costly downtime. Karma’s winning number reader is extremely fast and accurate, resulting in increased number of games per hour. It endorses three reading sensors, making the reading of the winning number several times faster. SMS notification keeps operators remotely updated on relevant events, statistical data and accounting information. Karma is extremely modular, even to the point of supporting multigame solutions. 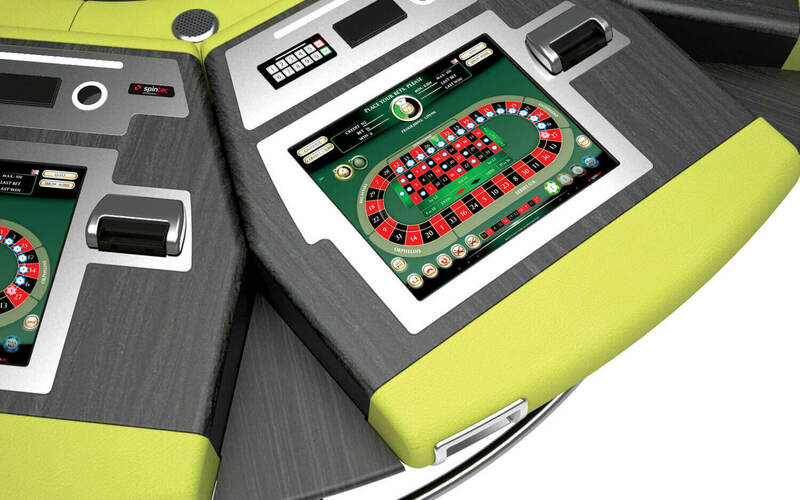 Karma’s modularity gives the operator the freedom to optimize the size of operations by acquiring additional gaming stations and tables as the need arises. This type of modularity also means that there need to be no compromise in the number of gaming stations – Karma can accommodate as many as your floor needs. 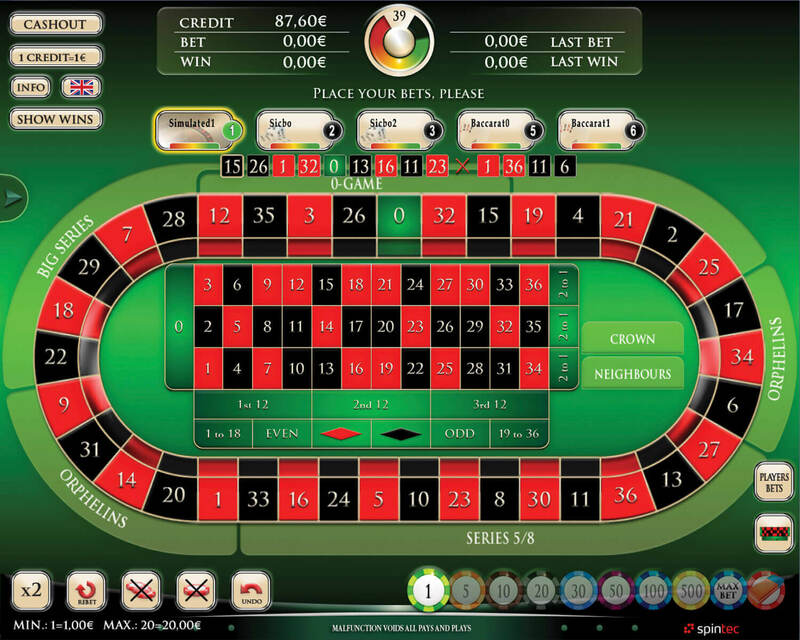 Players will appreciate an intuitive user interface supporting several languages with rules of the game, statistics, different views and incorporating multimedia. What is more, Karma allows them to individually adjust the contrast of the screen, choose between different interface views and switch between different games on different tables. The Karma embedded software is extremely stable and boasts excellent results in continuity of operations. The hardware itself is also designed in a way which shortens maintenance procedures considerably. The integrated Topper comes equipped with Multimedia, offering the players additional audio and visual interaction. 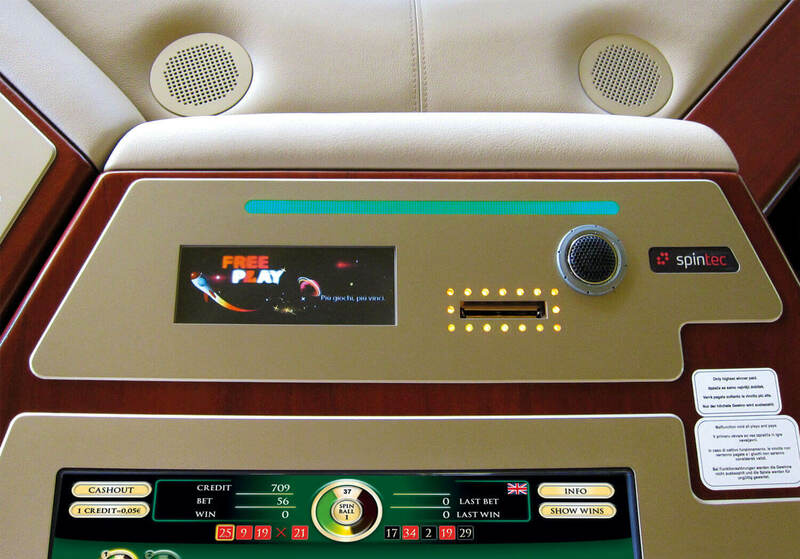 It can also show all players’ bets or just display statistics and video of the wheel or shaking dice captured by the integrated camera. Karma offers innovative illumination of the wheel and dice, thus enabling visibility and readability of the numbers even in environments with soft or low light. Spintec gaming solutions are entirely customisable. You can choose different games (Roulette, Sic Bo/Craps, Baccarat), technologies (automated, virtual and live gaming), languages and game parameters (speed and betting time). Another great feature is modularity, which allows you to optimize the size of operations by adding or extracting gaming stations and tables. Karma Roulette can be installed as AUTOMATED, VIRTUAL or LIVE Roulette and as a connection to existing live roulette. 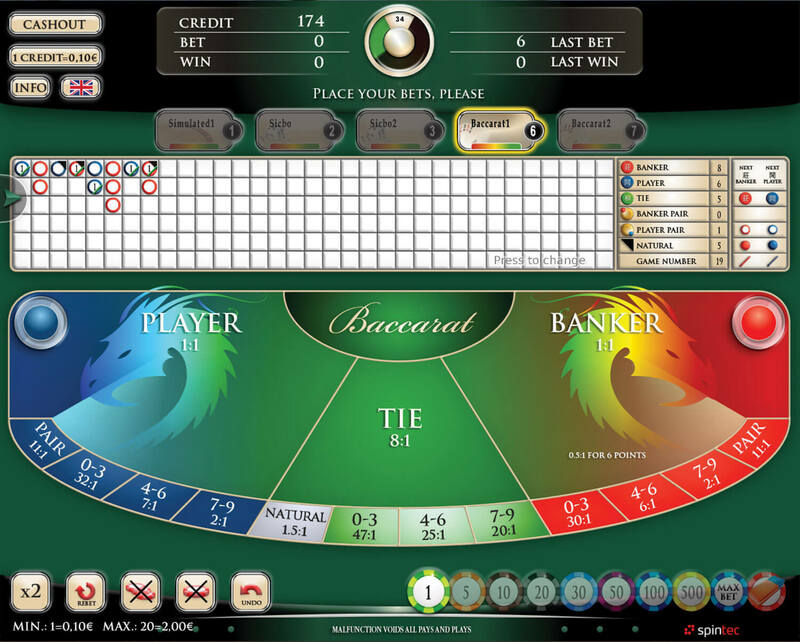 Karma Baccarat is an extremely appealing VIRTUAL game in HD live footage and a variation with LIVE game is also possible. A multigame solution allows players the freedom to choose from different games, technologies, game tables, attractive croupiers. Spintec’s world-class engineers are continuously striving for innovation leadership. This is how we shape the key difference that defines our gaming solutions. 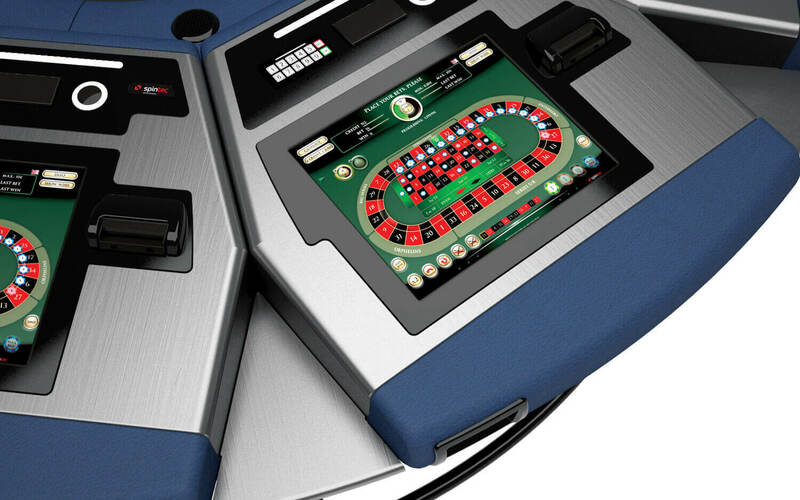 All technologies – AUTOMATED, LIVE, VIRTUAL - offer one seamless gaming experience. A multigame solution gives players the advantage of choosing different games and technologies. Automated games are distinguished by increased excitement and drama with live-game-alike factor, shaking of the dice and peek scanner at Baccarat. 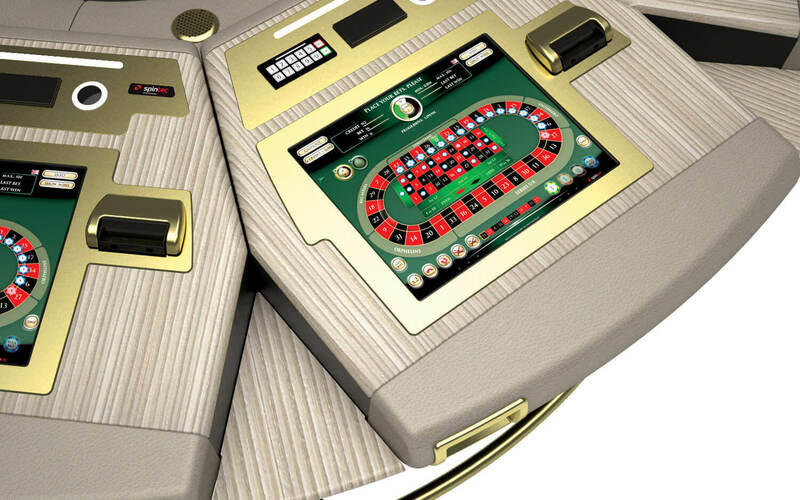 Let your floor stand out with live games boasting the ultimate quality of Roulette wheels, Sic Bo or Craps dice shakers and Baccarat card shoes. Let your players enjoy the company of an attractive croupier chosen by them. With a large screen and live footage the game feels extremely realistic.